Display your darker side with 17” alloy wheels^ in Jet Black. Set of 4. 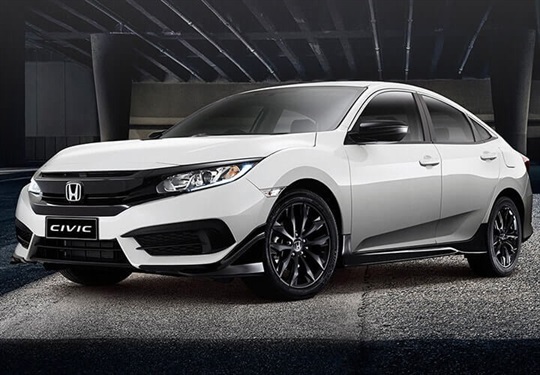 Enhance the appearance of your new Civic with this striking black Sports Grille. 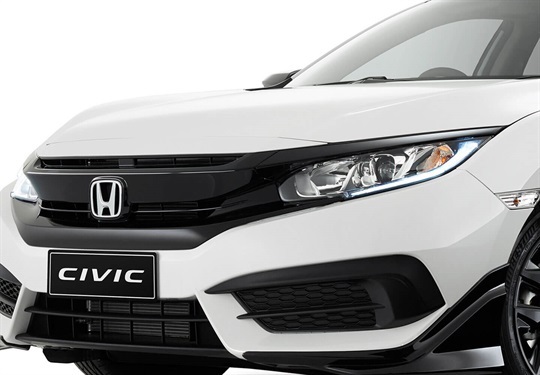 Enhance the appearance of your new Civic with this striking black Sports Grille. Complete the look by adding the black gloss lower grille. 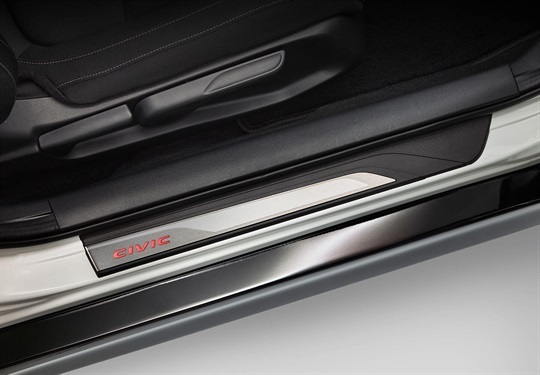 Elevate your Civic with a touch of sporty sophistication. 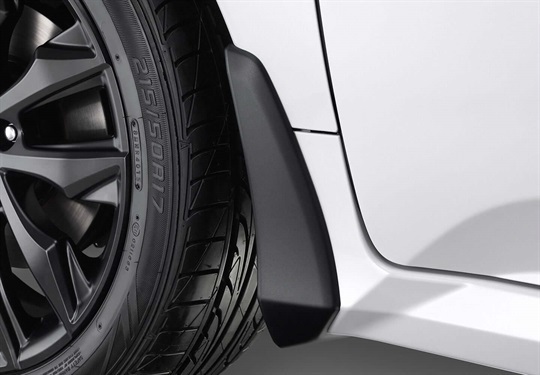 Accentuate the aerodynamic styling of your Civic with this black Front Under Spoiler. 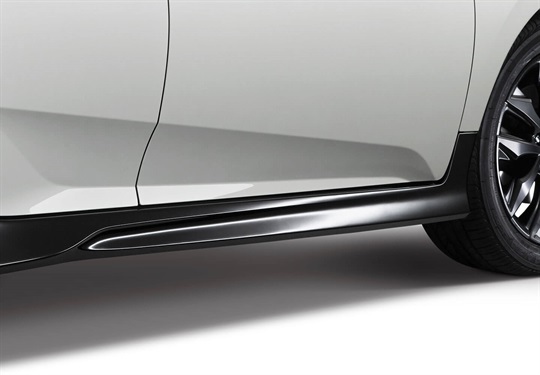 Emphasise the Civic’s sleek lines with the Side Skirt Set^. 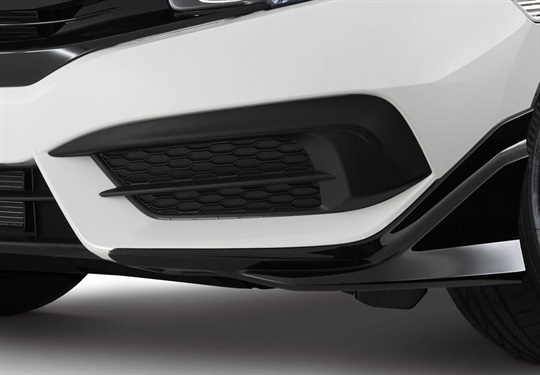 Select the Duck Lip Spoiler for an understated sporty look. 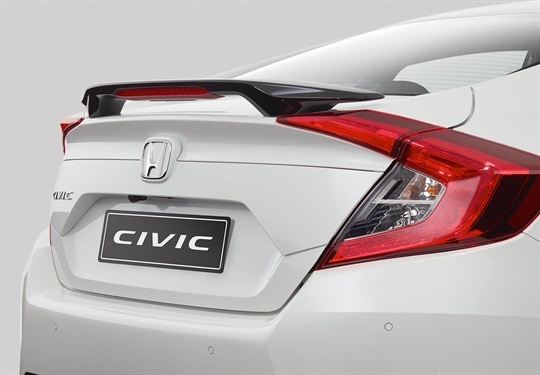 Not only will it significantly enhance the tail end of your Civic but it will also improve aerodynamics. 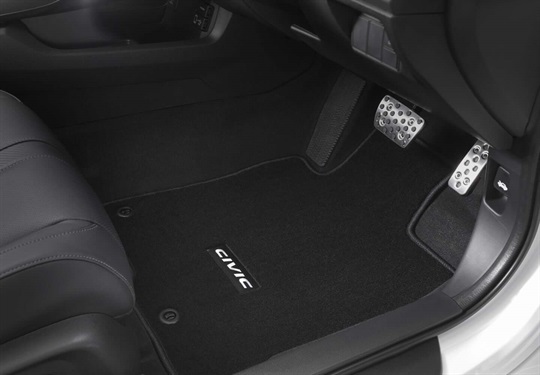 Custom fit carpet mats with unique logo, designed to enhance and protect the interior of your Civic. Set includes both front and rear. 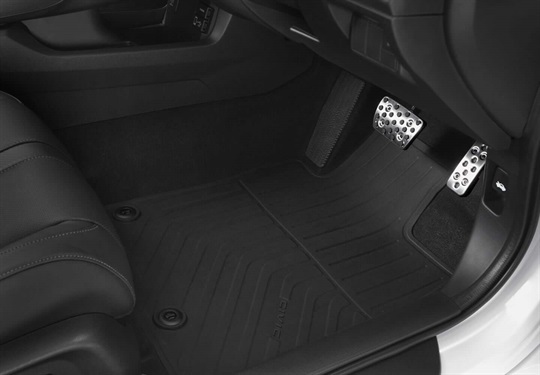 Custom fit rubber mats with unique logo, designed to enhance and protect the interior of your Civic. Set includes both front and rear. 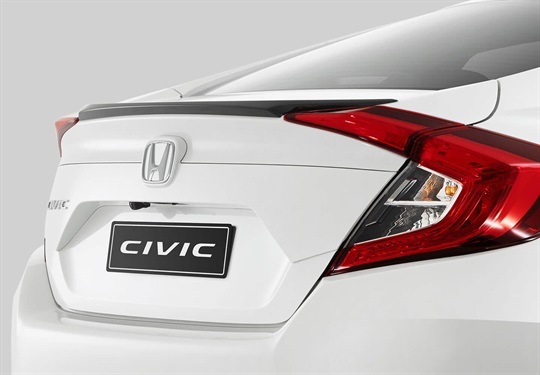 Polished stainless steel with illuminated^ Civic logo – designed to enhance and protect the sills of your new Civic. Also available with blue illumination. 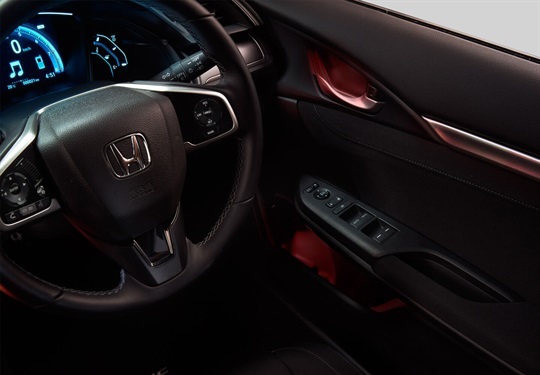 These hard-wearing acrylic door visors improve airflow while helping to protect the Civic's interior from water and debris. 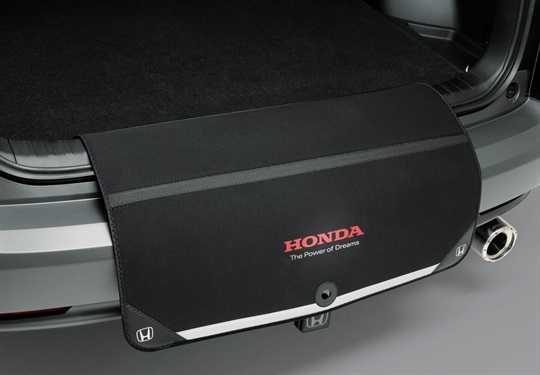 Tailored to fit the boot of your Civic, the waterproof Luggage Area Protector Tray with raised edges will protect the interior from dirt and scratches. 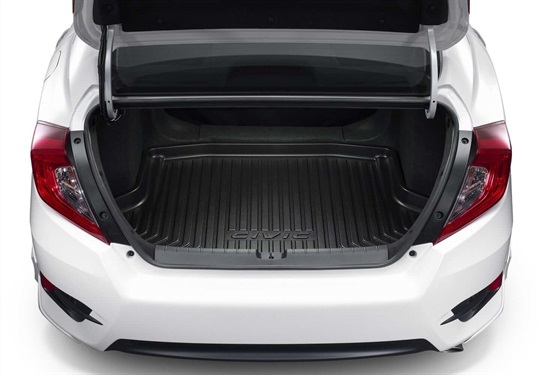 Anti-slip, featuring the Civic Logo. 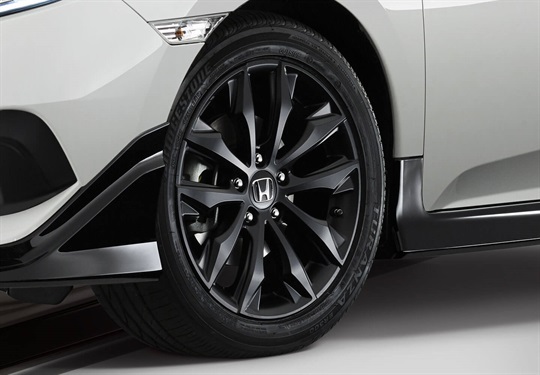 Help protect against paint damage with front^ and rear mud guards specifically designed for your Civic. 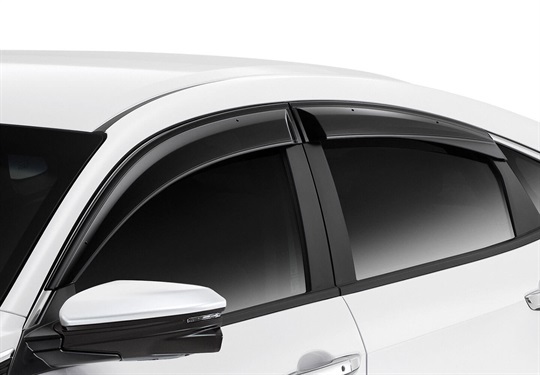 Make a lasting impression with this sleek, aerodynamically designed black Wing Spoiler. 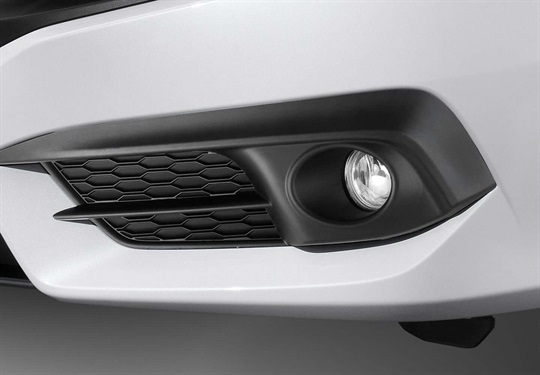 Enjoy the benefit of added visibility in poor weather conditions with these stylish front fog lights. 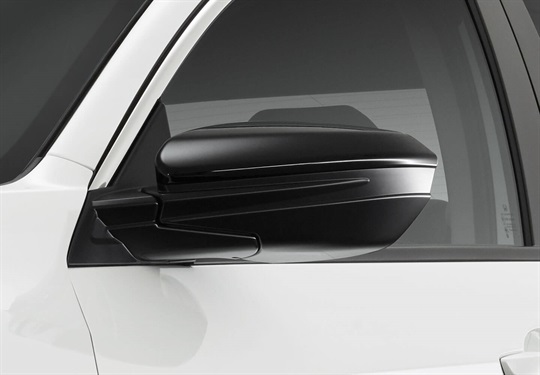 Add lighting and ambience to both the driver and passenger front doors with the Door Lining Illumination Set. Also available with blue illumination. 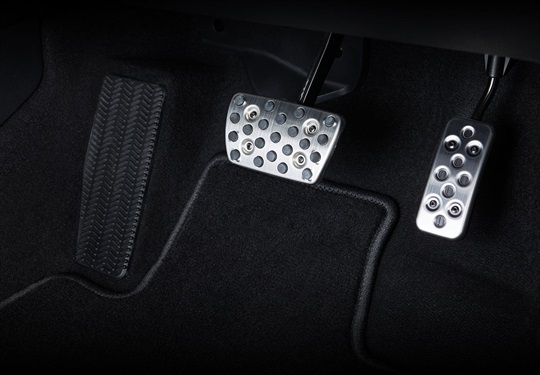 Optional Sports pedals are engineered from aluminum, clear coated and finished with moulded rubber studs. 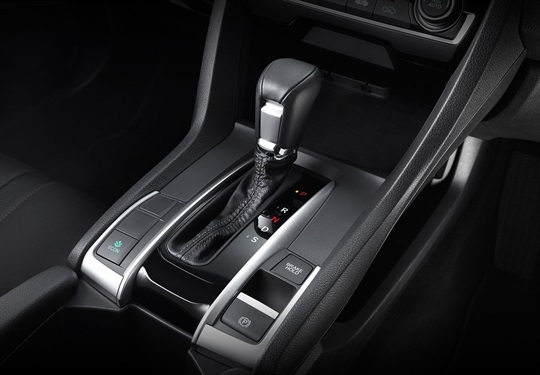 Add a touch of luxury to your Civic with the inclusion of a leather appointed Gear Shift Knob. 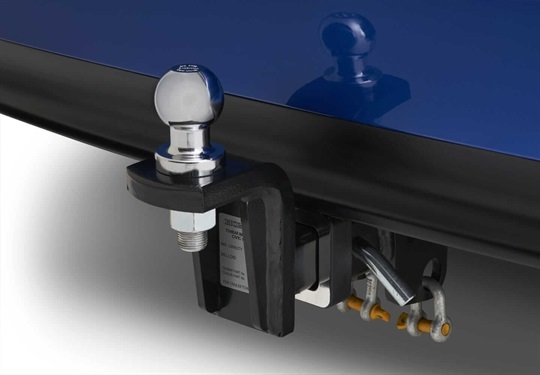 Specifically engineered for your New Civic and tested to ensure years of trouble-free towing, the Honda towbar integrates seamlessly with your vehicle. 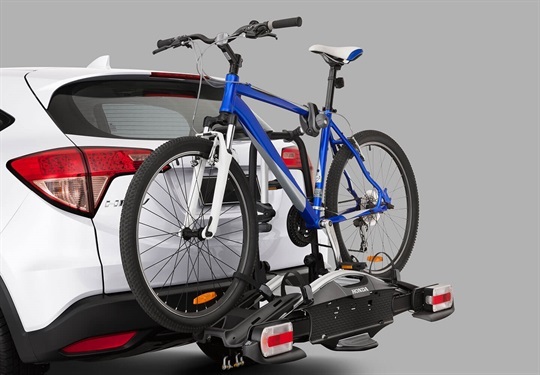 Increase the versatilty of your towbar with this Bike carrying attachment. 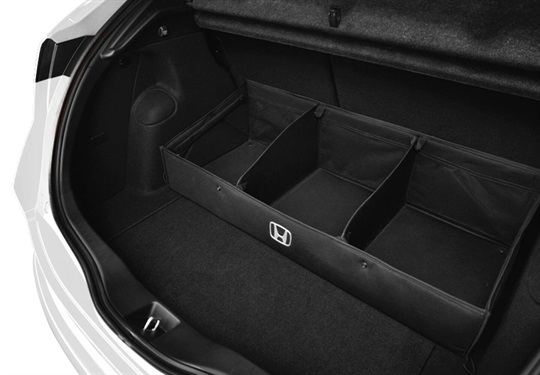 A functional cargo management system that helps keep things organised, limits movements, and provides protection for items in the boot. 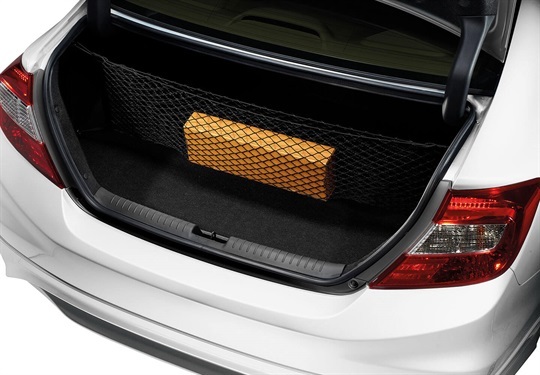 Keep luggage secured in the trunk with a specially designed cargo net. 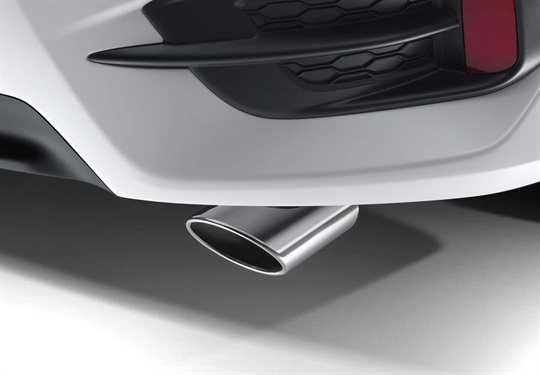 Give your Civic a sporty look with the inclusion of a the Chrome Exhaust Finisher.